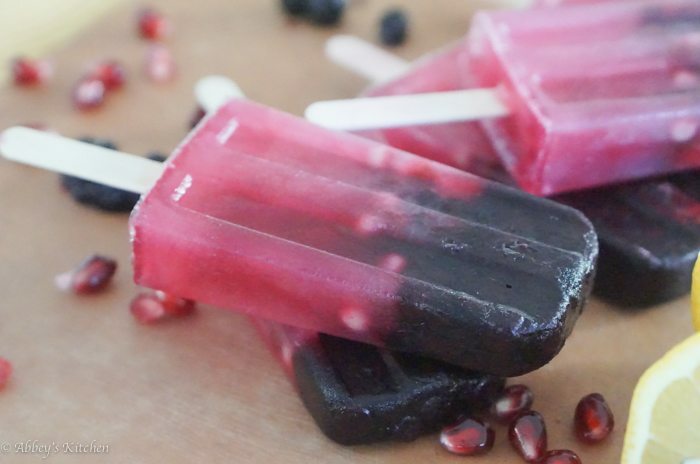 Wild Blueberry, Pomegranate and Lemon Popsicle & What’s an Antioxidant? It’s hot outside so I was in the mood for making a super refreshing tangy-tart lemon popsicle when it hit me- why not make them even more loaded with antioxidants? 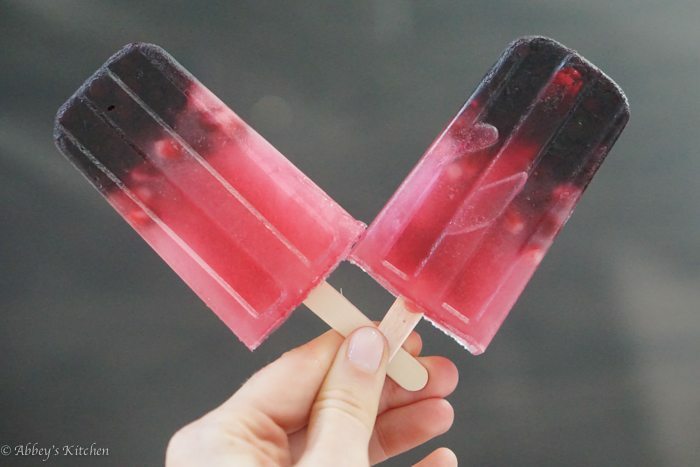 I had a pomegranate in the fridge and wild blueberries in the freezer and ta-da an antioxidant packed lemon popsicle was born. 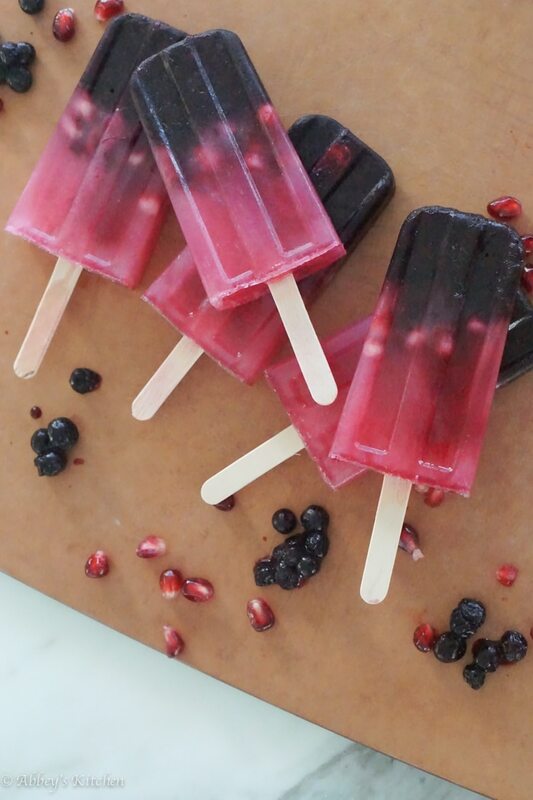 But first, let’s talk about antioxidants in my wild blueberry, pomegranate and lemon popsicle. Yep. AN-TI-OX-I-DANT. We talk about them all the time, we know we should be eating more of them, but WHAT THE HECK ARE THEY ANYWAY? Well here’s the dealio without giving you my biochemistry textbook definition so you can get to eating and enjoying that delish lemon popsicle in peace. Without giving you the ol’ biochemisty textbook definition, antioxidants are substances that counteract the process of oxidative stress in the body and oxidative stress is thought to be behind health issues like cancer, heart disease and other chronic disease in our body. Oxidation is also the same process that makes apples go brown when you cut them in half! I don’t know about you, but I don’t want to look like a brown rotten apple. So why does this even happen? Well it’s all thanks to some pesky molecules called free radicals. 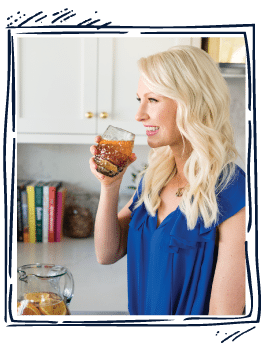 We accumulate free radicals in the body as part of normal bodily processes, but they can build up in excess thanks to environmental stressors like pollution, sun damage, x rays, smoking, and too much booze. Uh oh. The way free radical do their damage is by carrying around one or more unpaired electrons, which makes them unstable. In an effort to stabilize themselves, they rush through our body, stealing an electron from an unsuspecting healthy cell nearby which in turn will become a free radical. Then that cell (now a free radical) goes and steals an electron from another healthy cell which essentially starts a free radical cascade that can cause serious DNA damage if it continues. But that’s where antioxidants come in to save the day. Antioxidants are like little helmits that protect our healthy cells from becoming oxidized by free radicals, and are the reason why lemon juice can keep our apples crisp and white. Lemon juice contains antioxidants! That’s why you need to make yourself a lemon popsicle ASAP. In our body, antioxidants like the ones in this blueberry, pomegranate and lemon popsicle neutralize the free radicals by donating an electron and in turn become oxidized themselves. But don’t worry, even oxidized, they’re not harmful because they’re stable in either form. However, as soon as those antioxidants are oxidized, we need to replenish the supply, so this is why eating one orange a week is not going to cut it! Thankfully, getting your daily 7-10 servings of colourful fruits and vegetables will supply you with loads of delicious antioxidant power. 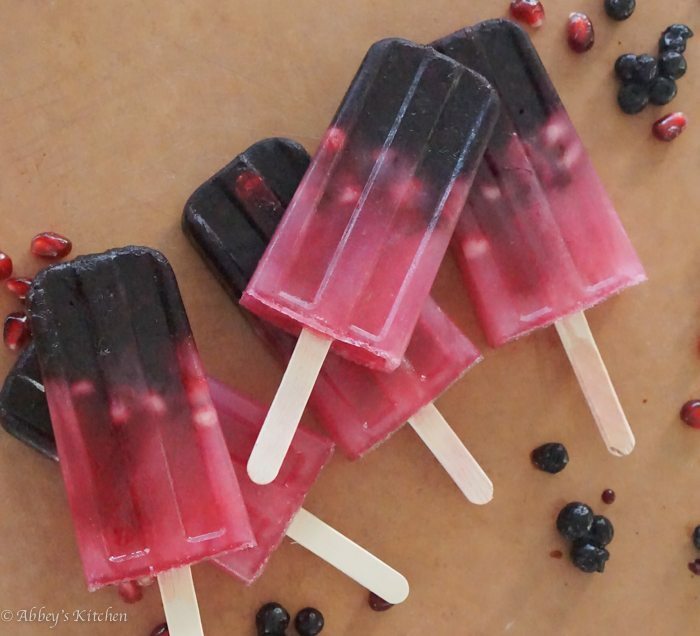 And one of my favourite ways to get my fix, especially in summer is with my Wild Blueberry, Pomegranate and Lemon Popsicle ! 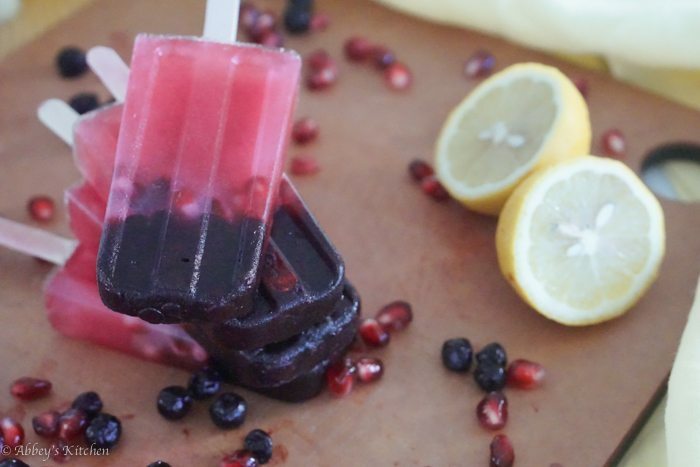 This lemon popsicle starts with antioxidant rich lemons and gets some support from tasty pomegranates and wild blueberries. Don’t they look pretty? 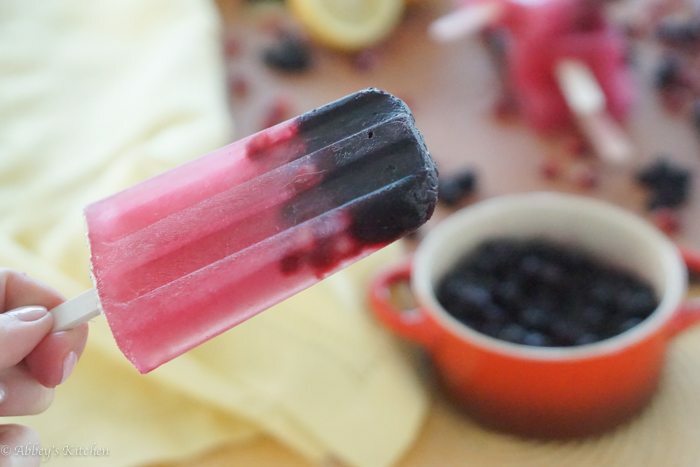 A Lemon Popsicle with the POWER of Blueberries! 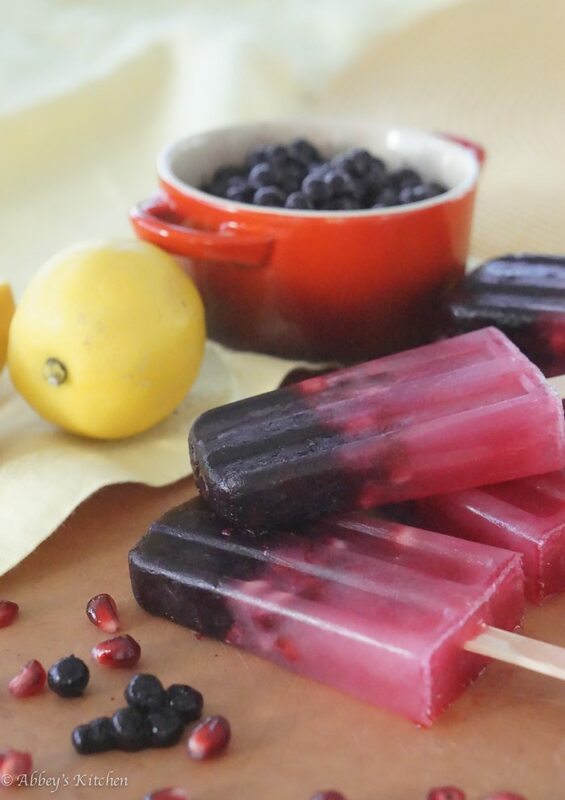 Each wild blueberry in each lemon popsicle is loaded with anthocyanins and proanthocyanidins, with more antioxidant power packed into a 1/2 cup serving than almost any other fruit! 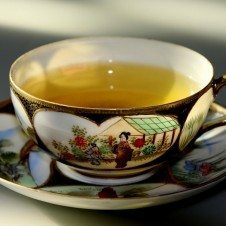 With all that good stuff going on, research has consistently linked these little gems to a reduced risk of Parkinsons disease, cardiovascular disease, various cancers and symptoms of metabolic syndrome. They’re also very figure friendly and a great low cal summer treat, with a whopping 400 berries clocking in at just 45 calories! Woot woot!! More of a visual person? Check out the hilarious youtube video here with the recipe for my lemon popsicle and don’t forget to subscribe to my channel for more great videos! What are your favourite add in flavours for your lemon popsicle? Have you tried making homemde popsicles? 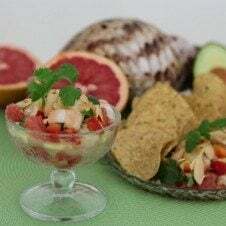 Leave me a message below with your go-to recipes! 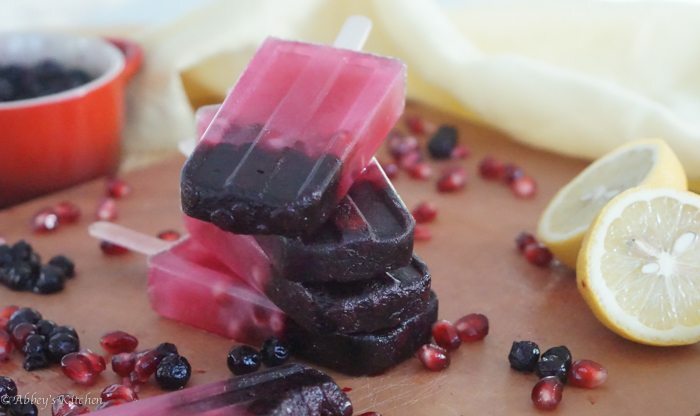 This lemon popsicle starts with antioxidant rich lemons and gets some support from tasty pomegranates and wild blueberries. Heat the blueberries, 1 tsp lemon juice and 1 1/2 tbsp. honey in a small saucepan over medium high heat until it bubbles, thickens and gets jammy. Divide between 8 popcycle mold and pop in the freezer for at least 1-3 hours. Meanwhile, dissolve the 3/4 cup lemon juice, 1 1/2 cup water and 3 tbsp honey in a small saucepan over medium high heat. 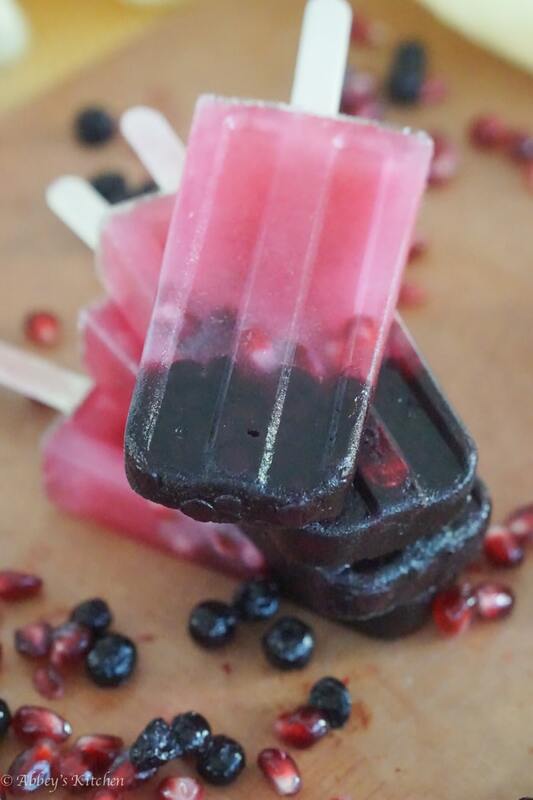 Pour the lemonade over the blueberry layer and add 2 tsp of pomegranate seeds into each mold. 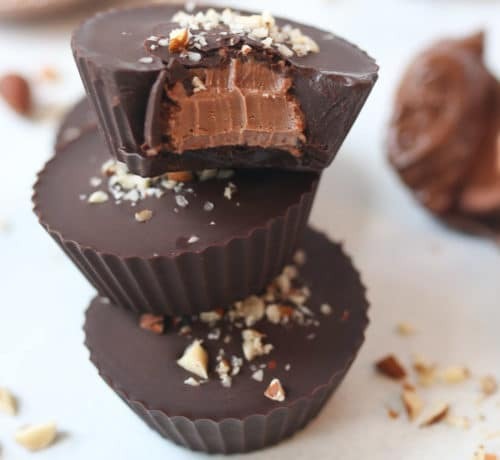 Add in a wooden stick, and freeze everything over night before enjoying. Disclaimer: The preceding post and video were developed in paid partnership with Wild Blueberries, however, as always, all opinions are genuine. 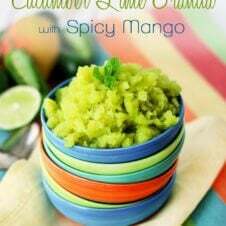 Cucumber Lime Granita with Spicy Mango | Low Cal, Vegan & Gluten Free Grapefruit Avocado Shrimp Ceviche – Gluten Free Low Calorie Recipe Matcha Green Tea Health Benefits & Contest to Win! 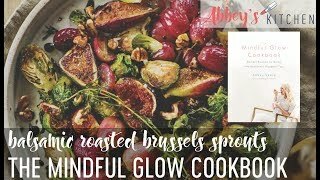 Love the recipe and what a cute video!! Beautiful popsicles and awesome video, as always! If I may add a caveat regarding antioxidants. Studies of the effects of antioxidant ‘supplements’ are still inconclusive and may even be pointing at some harm for some people. So before you try to make up your antioxidant intake with supplements, I recommend that you check some reliable web-sources and your doctor. Here’s one of many resources: http://www.nlm.nih.gov/medlineplus/antioxidants.html. However, intake of antioxidants via foods seems to yield positive results generally. So as advised here you should maintain or increase your intake of antioxidant foods. 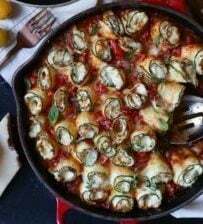 Besides these are some of the most delicious foods around.